The Swedish cellist Karolina Öhman performs internationally as a chamber musician, soloist and ensemble player, with a diverse repertoire, specializing in contemporary music. She wishes to give people new experiences of music in this genre and has premiered numerous solo and chamber music works. She has appeared as a soloist with the Basel Symphony Orchestra, the Helsingborg Symphony Orchestra, Basel Sinfonietta and the Ensemble Namascae among others, in festivals such as Archipel Geneva, Klangspuren Schwaz, ReMusik St. Petersburg, Royaumont, les Jardins Musicaux and at the Société de Musique Contemporaine Lausanne. Karolina has won several awards including the 1st prize at the prestigious Nicati 2013 competition for contemporary music, Switzerland, an interpretation prize from the 2010 “Internationale Ferienkurse für neue Musik” in Darmstadt, Germany, the Domnick contemporary music “Förder-prize” for cellists and the Kiwanis prize for chamber music. She has been awarded scholarships from foundations in both Sweden and Switzerland, including Pierino Ambrosoli Foundation, Stiftung Lyra and Ernst Göhner Stiftung, and in 2010 she became a beneficiary of the Concert Promotion Migros in Zürich. Being a devoted chamber musician, Karolina is a member of several contemporary music ensembles, including Mondrian Ensemble (Basel), Trio SÆITENWIND (Basel), NeuverBand (Basel), Curious Chamber Players (Stockholm), SCENATET (Copenhagen), and has established duo collaborations with flutist Paolo Vignaroli and pianist Gilles Grimaître. She has also appeared as a guest with ensembles such as Ensemble Intercontemporaine (Paris), Ensemble Phoenix (Basel) and Collegium Novum (Zürich). In 2008, Karolina founded the cello and percussion duo “UmeDuo”, together with her sister Erika. They have commissioned and premiered works in close collaboration with composers from Sweden and abroad. The Duo has appeared in renowned concert halls and Festivals throughout Europe, including the Queen Elisabeth Hall and St. Martin in the Fields, London, Musikinstrumentenmuseum, Berlin, Tonhalle Zürich, Gothenburg concert house, reMusik St. Petersburg, Sound of Stockholm and Tage für neue Musik Zürich. In 2010 UmeDuo received the 1st prize for artistic projects at the “Zürcher Hochschule der Künste”, Switzerland, and more recently won first prize in the Swedish “Ung & Lovande” competition, resulting in two tours of Sweden in 2014 and 2015. Since 2016 Karolina is the principal cellist of the Kammerphilharmonie Graubünden. She also plays regularly as guest with the Tonhalle-Orchestra Zürich, the Zürich Opera Orchestra and the Chamber Orchestra of Europe. 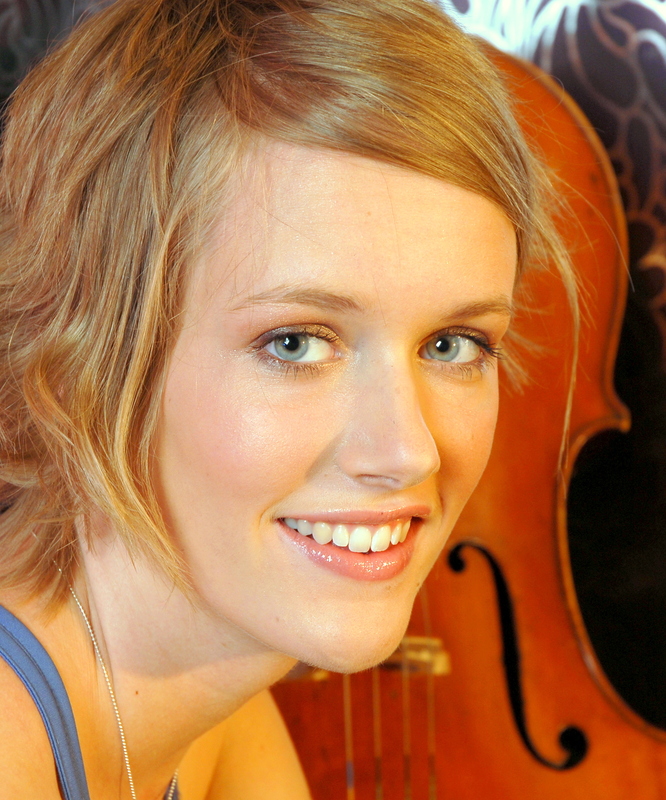 As a student Karolina was a member of the European Union Youth Orchestra. Karolina studied with Thomas Grossenbacher, Thomas Demenga and Torleif Thedéen, and graduated with both a soloist diploma from Zürcher Hochschule der Künste and a specialized masters in contemporary music from Musik-Akademie Basel. She also received significant input from musicians such as Mike Svoboda, Martina Schucan and Frans Helmerson.